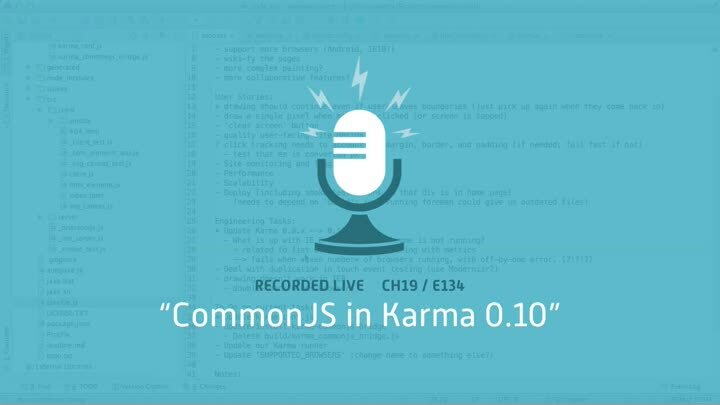 We’ve got the new Karma 0.10 version installed and working, but our tests fail because our code uses CommonJS. We install the new official karma-commonjs plugin (which is based on our work from chapter 17) and get it to work after a bit of troubleshooting. That finishes the upgrade to Karma 0.10.